Denturism as a profession has come of age. Quality and effective direct patient care, underscored by an efficient use of health care training dollars, combine to build international acceptance and recognition that Denturists are the members of a health care team particularly well prepared to provide denture services directly to the community. With a tradition of first-rate patient care and technical proficiency built upon internationally approved and accepted standards - Denturists demonstrate a history of performance and achievement unique among emerging professions. Denturism looks toward building the international support, which will assist in meeting the professional and inter-professional challenges of the twenty-first-century. Historically, the relationship between dentists and Denturists has been ambivalent at best, and more often than not, hostile and antagonistic. Legislation, and by implication, community dental health care, has often been shaped and defined by inter-professional conflicts and rivalries. The purpose of this article is to provide an update on requirements, training and expectations of Denturists -- and to underscore their critical role in working as independent practitioners or as a part of the team of dental health care professionals delivering ongoing services, support and care to the community. Denturist training is cost-effective in terms of public or private training dollars, and provides the community with an alternative, highly specialized and affordable form of treatment.Denturism, is analternative to a very small part of the work of dentists, and contributes to the efficiency and effectiveness of good community and dental health care. The development, recognition and acceptance of worldwide standards for Denturist training, underscored by community support in the form of legislative changes, paves the way for international recognition of Denturism as a regulated, self-governed profession. While archaeological explorations have uncovered prosthetic appliances as old as 4000 years "Denturism", we are told, involved retrieving extracted and/or lost teeth, and binding them back into place with gold wire or gold strips. The first person who made dentures, as we understand them today, was a French pharmacist. Working in Paris, in the early part of the 18th century, Monsieur Fauchard found that, by taking a mouth impression with plaster, he was able to construct a rubber appliance into which he could add baked porcelain teeth. 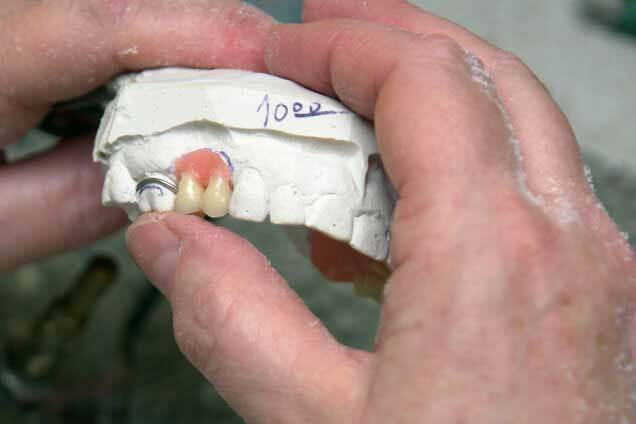 Subsequently, we began to see the slow steady evolution of a specialty field, requiring craftsmanship, patience, and the never-ending challenge to construct more effective, more comfortable and more aesthetically pleasing dentures. By the time dentistry classes were introduced into university studies, we had begun to see a more formal separation between those who, for the most part, extracted teeth (dentists) and those who specialized in the construction and fitting of dentures (technicians). Throughout the 19th and early 20th century, while technicians continued to work in the mouth, dentists mounted an increasingly strong lobby to influence regulations related to the delivery of dental health care services. They were able to persuade legislators to limit work in the mouth to themselves. When technicians working in laboratories were asked for their opinions, dependence on the dentist largely shaped their responses. Technicians who had continued to work with patients were not consulted, and legislation that continues until today, defines the scope of practice for the two professions. Interestingly, although "denturism" as we now define it was unknown then, it was already becoming a worldwide development. The idea of the allowing of a non-dentist to perform designated dental procedures arose from a New Zealand dental nursing program. That 1921 program began in response to the high incidence of dental disease and an inability of existing dental manpower to provide required care and service. In 1957 the Tasmanian Parliament passed legislation enabling dental technicians with approved qualifications (exams were set by a newly appointed Dental Mechanics Registration Board) to work directly with patients providing them with full and partial dentures. A certificate of Oral Heath issued by a dentist or medical practitioner was initially required but this removed after a 5yr review of the legislation. In North America, it was the Alberta 1933 Health Amendment Act that first provided direct legislation for the practice of Denturism. This legislation was updated in 1961 and became the first piece of legislation pertaining only to the practice of Denturism. In the U.S.A., dental technicians openly declared themselves to be "Denturists" and since the Canadian Denturist movement of the 1950's and early 1960's, have been demanding legitimization of their profession. Although Denturists are organized in 40 states, powerful American Dental Association lobbyist dramatically impacted on the Denturist movement. As communities came to realize that dentures supplied by dentists were not only increasingly expensive, but could frequently be ill-fitting and/or non-functional, tensions between the professions increased. Denturists came to see that they too needed a strong voice to effectively present their position in terms of dental health care services. An attempt to preserve a monopoly under the guise of the concern for public safety. The need to educate public policy makers and legislators about the profession. The need to convince colleagues that additional training and education was integral to the professional in terms of level of a person's skill, support from the general public, the credibility and respect among other members of the dental health care profession. With the 1991 development and approval of the international base-line competencies for Denturists training and education, the I.A.Z. effectively moved the issue of Denturism to the public policy agenda. Note: In September 1992 the I.A.Z. at its international conference decided to amalgamate all three designations, I.A.Z., I.F.D. F.D.I. and to adopt as its official designation, International Federation of Denturists - I.F.D. Professional Denturists are the members of the dental health care team specifically trained and educated in the skills and knowledge necessary to provide denture services to the community. Laws permitting the supply of dentures to the public without the intervention of a dentist have been passed in the following countries and states. These laws may have been challenged and amended to the advantage or detriment of the Denturist movement over the years. The schedule is not exclusive but comprises the Acts of Parliaments known at the time of printing. The figures beside each country indicate the number of Denturists licensed in that jurisdiction, at time of writing. University-trained dentists perform the full range of services related to the patient dental health care and well being (assessment, diagnosis, treatment etc.). The scope of practice for Denturists includes clinical work, but clearly delineates and draws distinctions between adjustment and/or alteration to natural teeth/tissues of the mouth, and appliances. Denturists work with constructed or prosthetic (artificial replacement) devices only. Dental technicians, by contrast, work in laboratories and are trained to make appliances for dentists. They have neither the technical training nor the legislated mandate to work directly with patients. As with other allied health professions where the relationship between those with a historically defined role and those with an emerging role collides over concerns about standards, patient care, and control -- dentists and Denturists have been subject to inter-professional rivalries and struggles for mutual respect and understanding. Dentists have argued convincingly about the efficacy of an untrained or undertrained dental technician's ability to recognize pathology and refer appropriately. Other professionals in the dental health care field, however, are able to point to examples where technicians are trained and extensively upgraded prior to being awarded (registered) with the designation "Denturist". Claims such as those suggesting that dentures supplied by Denturists "cause cancer" fail to be supported by any empirical data. Such claims are, in fact, undercut by case studies from Canada, Finland, Tasmania and Australia where Denturists have been successfully integrated into community dental health care programs for several decades. Health risks appear to be related to ill-functioning and ill-fitting denture rather than to the impact of any integrated service delivery system. First visit to the Dentist. Mouth examined and preliminary impressions made. More accurate impression made using custom trays. Plaster models and base plates for bite registration completed. Try-in (possibly repeated.) Work sent to technician. Processing and trimming of denture is completed. Errors, misfits returned to technician. Construction of custom trays by the Denturist. Muscle molding, Final impression is obtained. 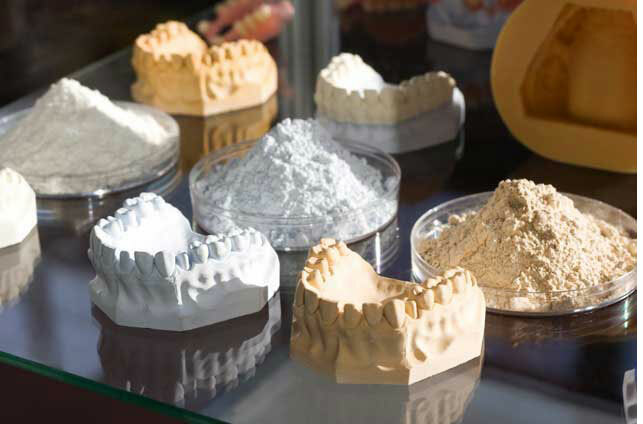 Master casts, record bases and occlusal rims are constructed by the Denturist. Mater casts articulated and set up of teeth is accomplished by the Denturist. Immediate corrections are possibly due to technical expertise of the Denturist. Adjustments are made immediate corrections and alterations are made by the Denturist. The fact that the Denturist as an expert is solely responsible for the clinical and technical procedures results in a more individualized and properly constructed denture. Subject to the condition of the mouth, patients may be referred to a dentists/doctor during the first visit to a Denturist. Clearly, patients have a right to choose care and services from among a range of qualified dental health care professionals. With the evolution of international base-line competencies, and the development of first-rate retraining and upgrading opportunities, Denturism has come of age. Patients must be free to select the type of service that best meet their needs in terms of personal care, well being and affordability. In the interest of public health safety and welfare, competing professions have an obligation to make a significant contribution to the community by reinforcing and supporting each other's roles. 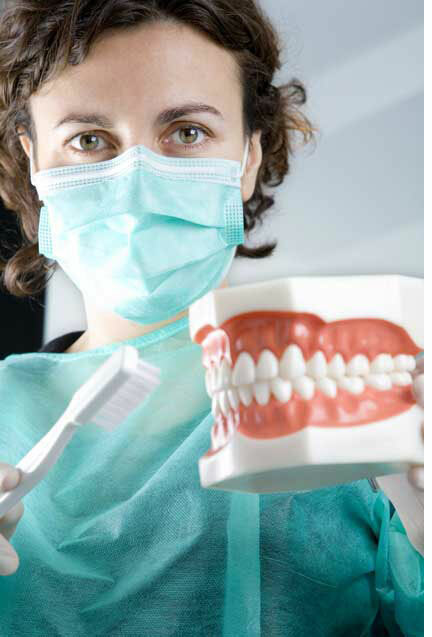 Dentists care for and conserve natural teeth, and prevent and treat diseases of the mouth. Denturists, on the other hand, have an explicitly defined role in terms of construction, fitting, patient aftercare and care of dentures. Let us move forward together, in a spirit of mutual respect, to champion the only real cause worth tackling, that of the dental health and well being of our communities. Most dentures are made of plastic and plastic needs care when cleaning. Use anything that will scratch, no steel wool etc. There can be metal parts on a denture as well. You have to be careful not to push or bend, also they can be damaged when dropped. It is wise to only clean them in a sink, not in the shower, accidents happen in the shower. Never leave them where pet dogs could get them. Dogs think that they are bones. Always use a good strong denture fixative before going for a swim or boating. When going on holidays, always take your spare set with you and some denture fixative. And if you need a spare set made, your nearest DIRECT DENTURE MAKER™ can help. Read stories and advice written by experienced direct denture makers from around the world.